Recognized as the #1 ranked art festival in the nation, the La Quinta Arts Festival returns for its 37th year from March 7-10 at the La Quinta Civic Center Campus. Over 200 artists will have their work on display for this four-day artistic extravaganza, featuring live music, delicious food, and refreshing wine and beer. 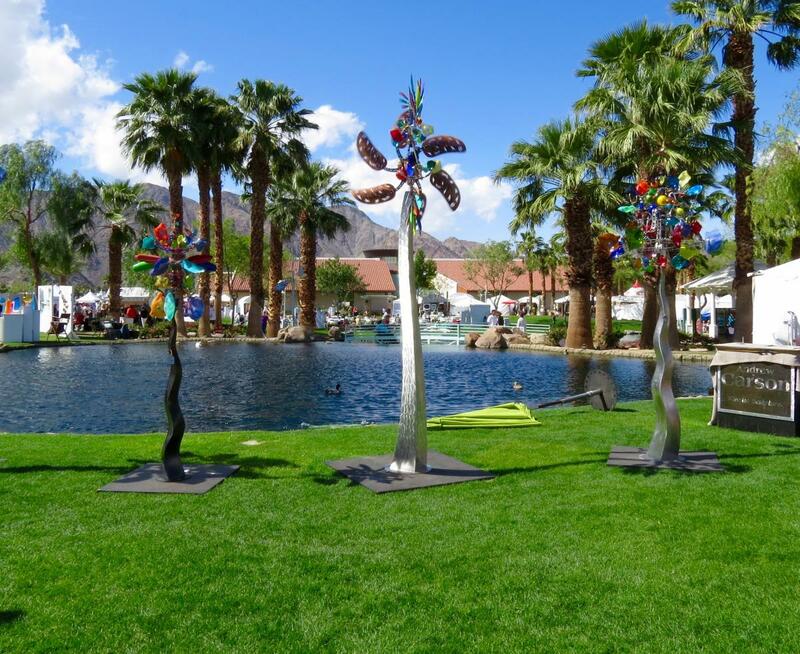 The La Quinta Arts Festival is presented by the nonprofit La Quinta Arts Foundation and funded by community partners, sponsors, and donors, making it possible to promote this cultural festivity to the public. 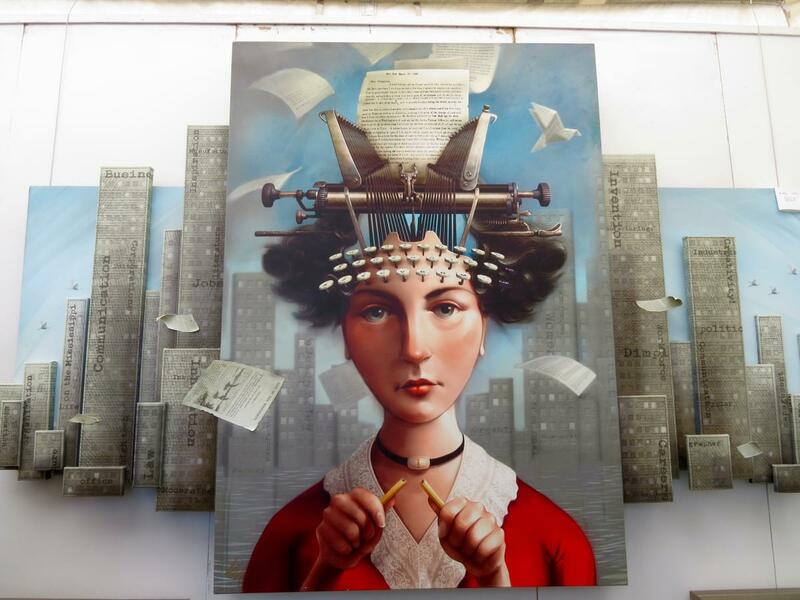 Here is your guide to the ins and outs of this nationally-recognized event and what you can expect to find within its galleries whether you are a first-time visitor to the oasis or seasoned art connoisseur. The La Quinta Arts Festival lasts March 7-10, from 10 a.m. to 5 p.m. at the La Quinta Civic Center Campus located near City Hall. Tickets are available at the La Quinta Arts Foundation website, with single day tickets costing $17 and $22 for multi-day tickets, while children 12 and under are admitted for free. Purchasing tickets online is the best way to avoid long lines, but there will be ticket booths at the festival gates as well. Valet parking is also offered for $15 and self-parking is priced at $10. Attendees may take advantage of free parking areas throughout the La Quinta Village while they are available. A new interactive activity will be offered to guests on March 9, where they can help paint a mural designed by artist Peter Tigler to promote creative expression through a community connection. A total of 220 artists will be represented at the La Quinta Arts Festival, hailing from 36 U.S. states, Nicaragua, Argentina, Italy, and Canada. 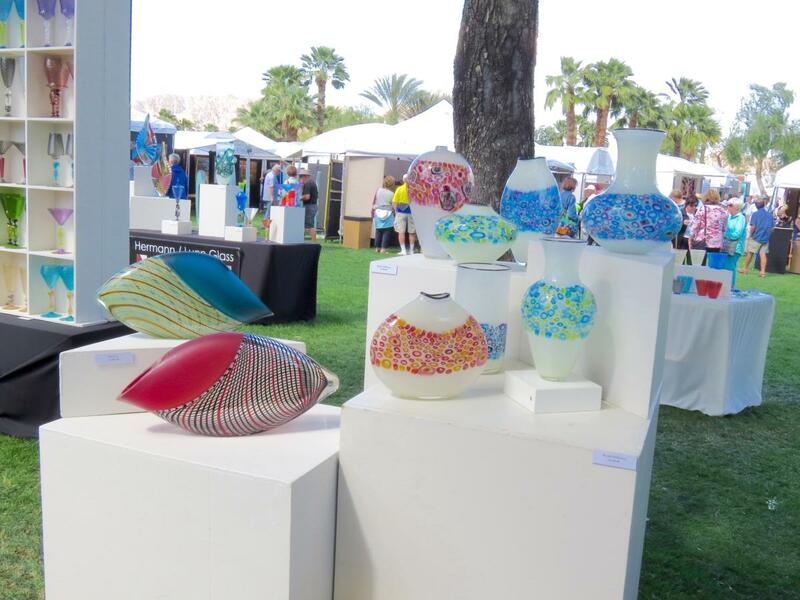 A wide range of mediums, including photography, ceramics, digital art, paintings, and jewelry, will be showcased around the gorgeous, scenic La Quinta Civic Center Park, merging the natural beauty of the desert with one-of-a-kind pieces. This year’s commemorative festival poster, “Coachella Valley Spring,” was designed by Elaine Mathews, a Rancho Mirage-based painter who has been practicing her craft for more than 50 years. The featured artists for 2019 consist of Barton DeGraaf, Terrell Powell, and Daryl Thetford. DeGraaf is a painter who specializes in watercolors and acrylics showcasing animals doing human activities such as pedaling a bicycle. Powell is a mixed media artist of pieces centered on animals and plants designed with colorful patterns and psychedelic motifs. 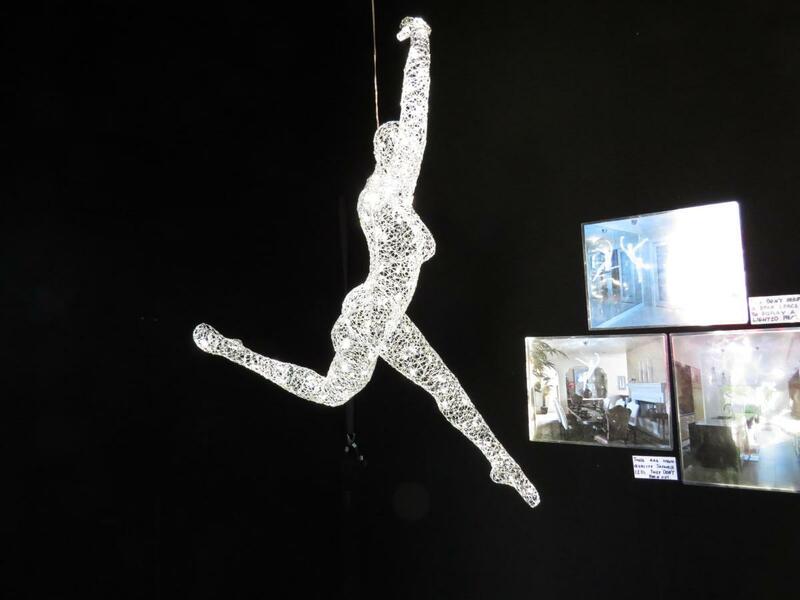 Thetford’s repertoire consists of layering fragments of 200 digital photos to create unique scenes set on aluminum. The musical lineup for the La Quinta Arts Festival will create a soothing ambiance while attendees browse through the galleries, tinged with acoustic guitars and smooth saxophone. Songwriter/guitarist/drummer Scott Carter will be performing all four days at the park’s amphitheater with a reggae medley. Guitarist Michael Anthony Gagliardi will also be present for the duration of the festival, treating audiences to his Latin-infused melodies. The jazz group Trio NV will perform on Friday from 2 p.m.- 5 p.m. at the park’s amphitheater to put their own spin on some well-known classics. The funk party band, The Art of Sax, will perform on Saturday from 2 p.m.- 5 p.m. to share greatest hits. CV Weekly’s 2018 “Best Cover Band” winner, Shaken Not Stirred, will be performing on Sunday from 2 p.m.- 5 p.m. to close out the festival. At the La Quinta Arts Festival, you may come for the artwork but stay for the food, as there are several dining options available onsite from local favorite vendors. Bristol Farms Cafe will keep your energy up with savory but healthy options like the Santa Maria Grilled Tri-Tip Sandwich, the Chicken Avocado Sandwich, the Vegan Burger, Smoked BBQ Pork, and California-based cheese and fruit. Restaurant Row at the festival includes the Fisherman’s Market & Grill and Shanghai Reds. The Fisherman’s Market & Grill offers delectable seafood entrees like the Mahi Mahi Tacos, the Cajun Salmon Caesar Salad, the Albacore Lettuce Wrap, and classic fish & chips. Shanghai Reds will have more traditional selections like cheeseburgers, chicken caesar salad, and grilled chicken sandwiches. The Island Bar will be the place for quick grab & go meals with sandwiches and pastries courtesy of Aspen Mills Bakery & Cafe. E. & E. Pels Italian Ices will be onsite for refreshing lemon, orange, and mocha beverages. The Meadow Bar will be home to Brandini Toffee, a local favorite for sweet dessert options like toffee shakes, toffee ice cream bars, and toffee popcorn. Stella Artois is the official beer sponsor of the 2019 La Quinta Arts Festival and will be offered alongside other fine wines within the festival grounds. If you&apos;re looking for more things happening in the oasis, make sure to check out our full events calendar in Greater Palm Springs. Born and raised in the Coachella Valley, Crystal Harrell is a Communication-Media Studies graduate from California State University, San Bernardino. She has contributed to various publications within Greater Palm Springs, such as The Desert Sun newspaper, Coachella Magazine, CV Weekly, Locale Magazine, Desert Health, and After School Magazine. Her writing credits also include reporting for The Los Angeles Times' High School Insider website and creating content for the Palm Springs Comic Con blog. When she's not writing, Crystal enjoys traveling, photography, fashion, and all things film. Catch up on her latest movie review or director interview at Borrowing Tape.